Donald Trump’s stunning presidential election win hasn’t just spooked the poll pundits, it has spiked mortgage rates too. And the spike is fairly substantial. Between Wednesday, Thursday and Today (Market being closed on Friday), mortgage-backed securities have lost a whopping 236 basis points (bps). And we are not even done for the day (see the chart below). MBS and mortgage rates move in opposite directions. When MBS prices go up, rates go down and vice versa. A loss of ~12 bps on MBS pricing typically means that a borrower will pay .125% more cost to get the same rate before the MBS worsened in pricing. So, a 236 points movement is humongous; resulting into ~.50% increase in the rate for most loan products. Mortgage rates are now at the highest interest rate since the first week of January 2016. As quoted in Washington Post and Bankrate.com article – this is what I told them the day after the presidential elections. These are ominous signs for future home buyers. An increase of .50% in mortgage rate would mean an extra $1400 in yearly payment for a $400,000 loan amount. While most banks were in mid-high 3% for a 30 Year Fixed rates early last week, this morning they are over 4%. Wells Fargo is at 4.25%. 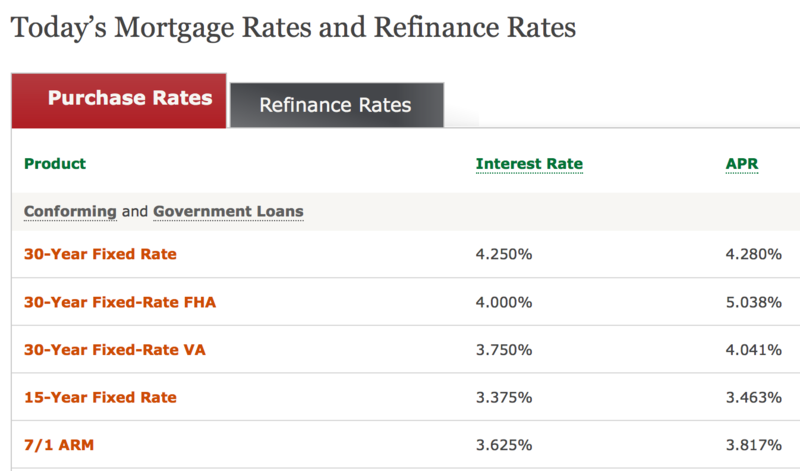 Even the adjustable mortgage (ARM) rates are inching closer to 4% (see screenshot below). This does not augur well for mortgage industry as well. In last few years, refinance business has been 60%-70% of overall production. An increase in rate would mean a sudden decline in refinance business. With home purchase business predicted to go up by only ~10% next year, overall production numbers will most likely go down in coming months. Impact on Real Estate Prices – Home buyers think that an increase in rate would mean less affordability which results in a smaller buyer pool, resulting in lower demand and lower home prices. While the logic holds true, usually an interest rate uptick of ~.50% doesn’t pose any real challenge to the real estate prices. 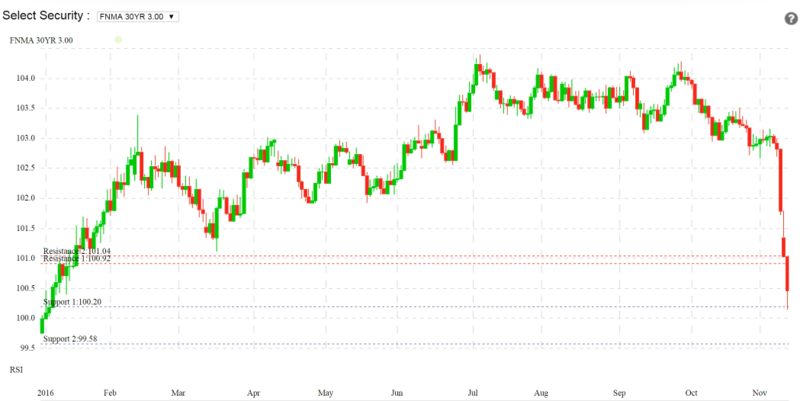 If the rates, however, continue to move up some of those scenarios will start playing out, especially in less affordable markets like California. What about Fed – To add salt to the wounds, Fed is almost guaranteed to raise rates in December. While Fed doesn’t directly control mortgage rates, the decision could still have a minor impact on raising the rates further. Get that mortgage quickly – Whether you have been thinking of refinancing or buying, getting that process started and locking a still very low rate could be a good idea. From all indications and trends, waiting longer will not be of much help.